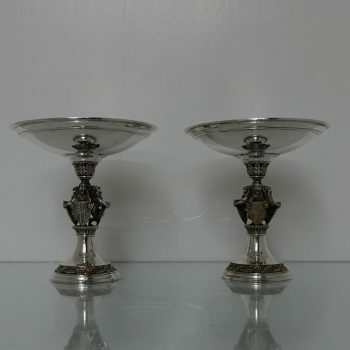 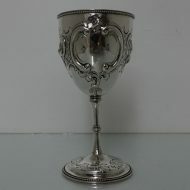 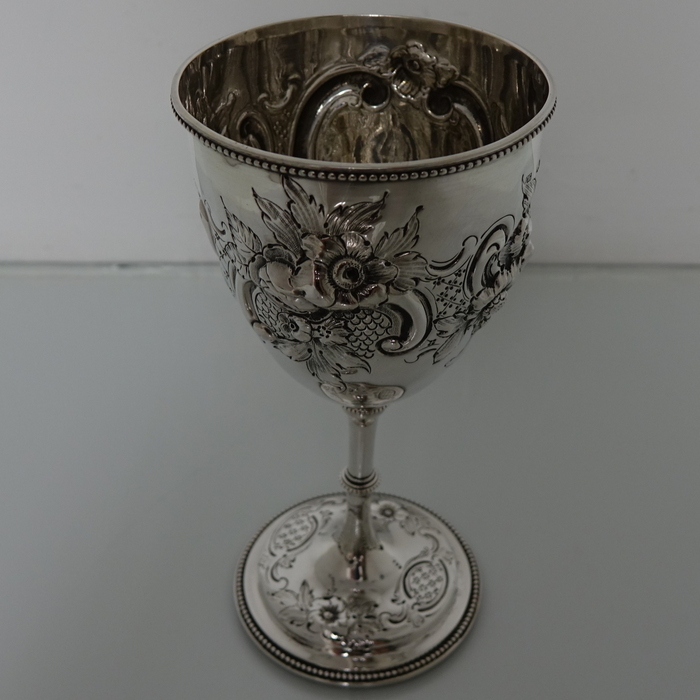 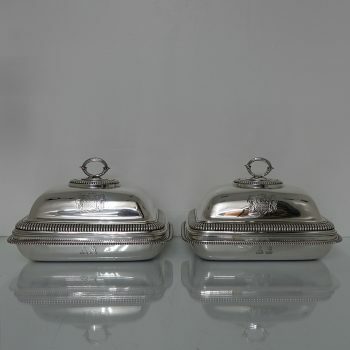 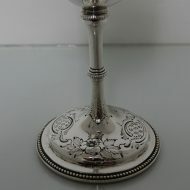 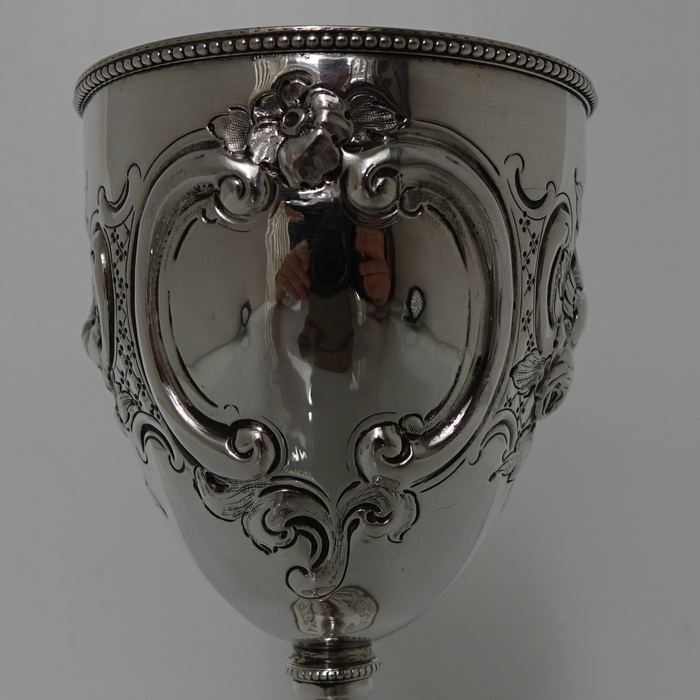 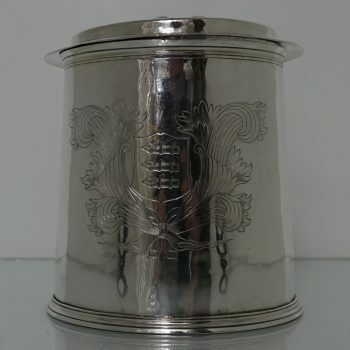 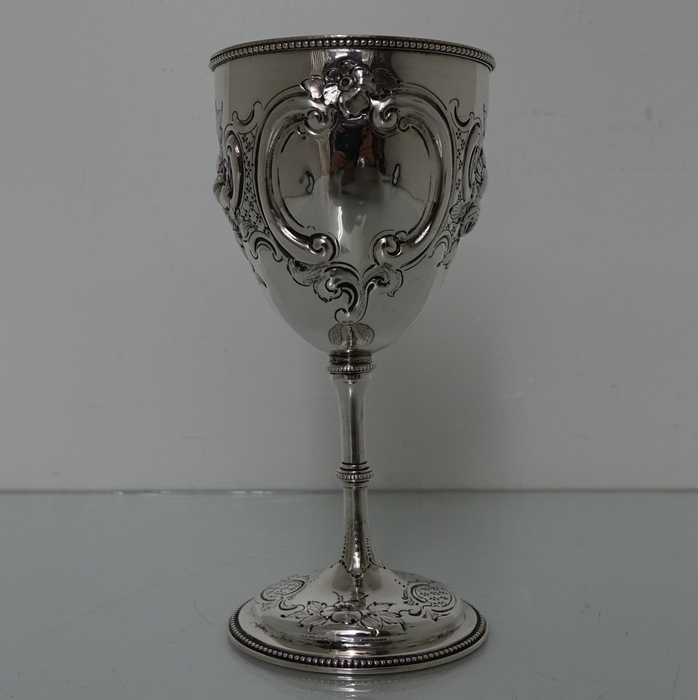 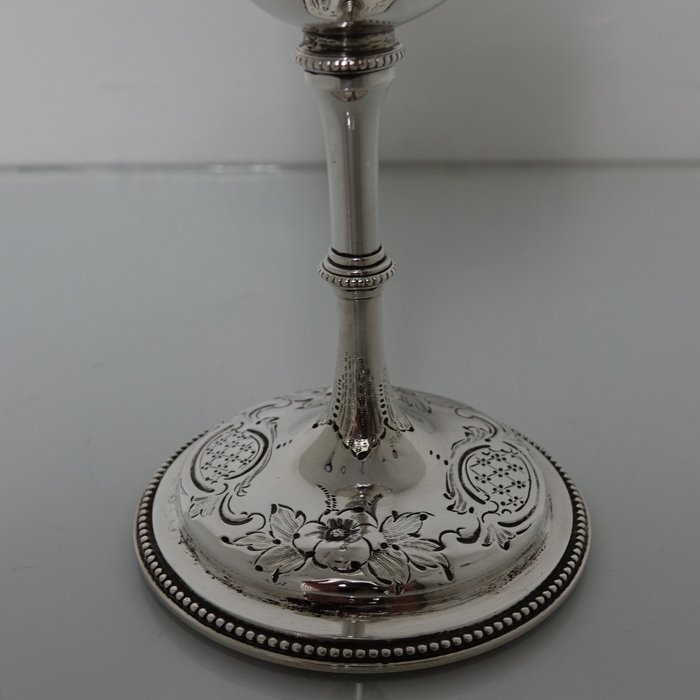 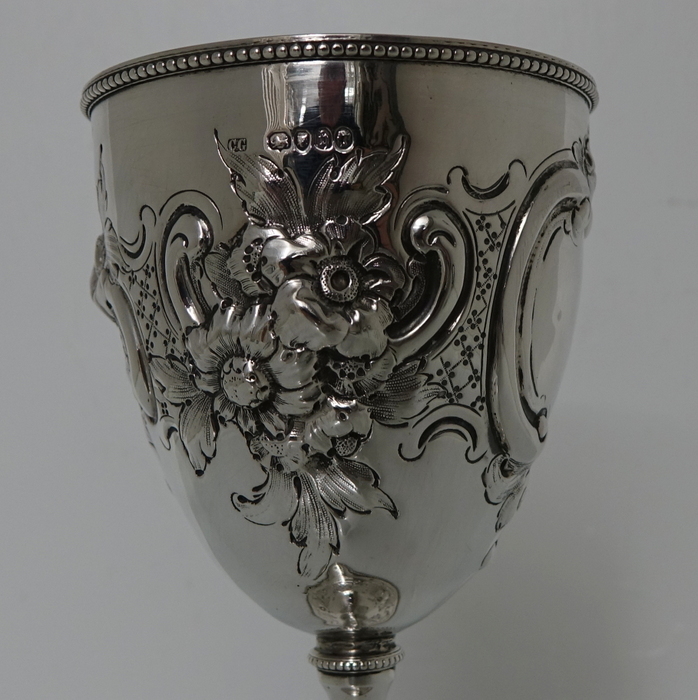 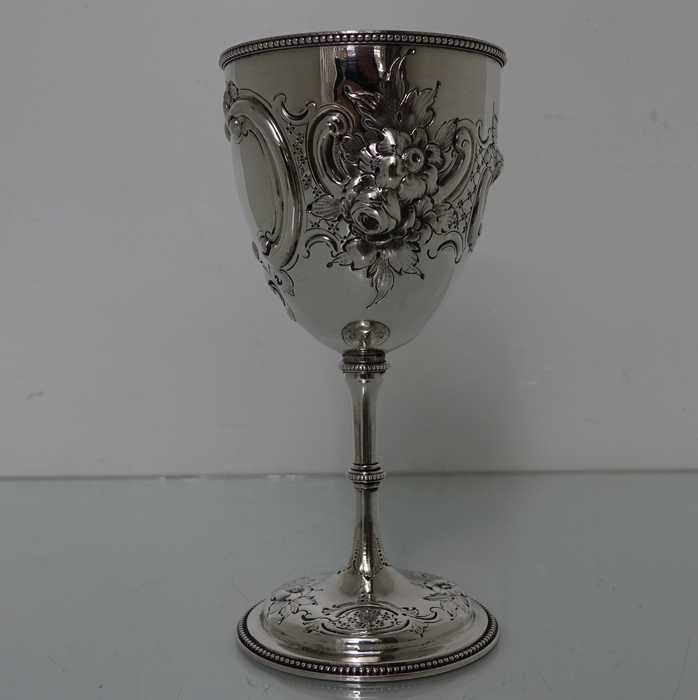 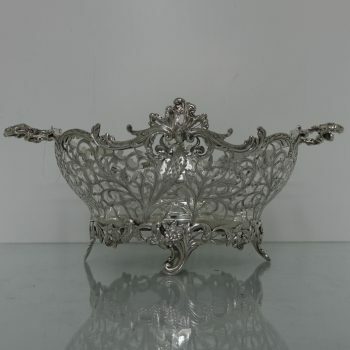 A very stylish Victorian bead border wine goblet with a single cartouche with elegant hand engraving amongst floral hand chasing around the centre of the bowl for decoration. 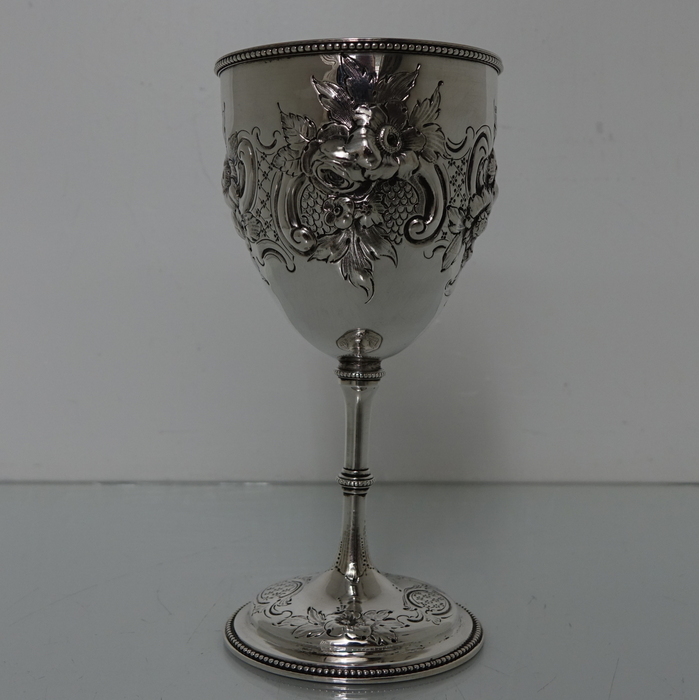 A very stylish Victorian bead border wine goblet with a single cartouche with elegant hand engraving amongst floral hand chasing around the centre of the bowl for decoration. 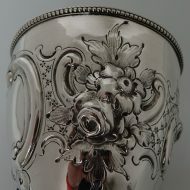 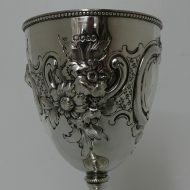 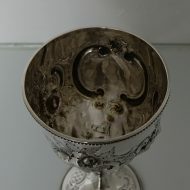 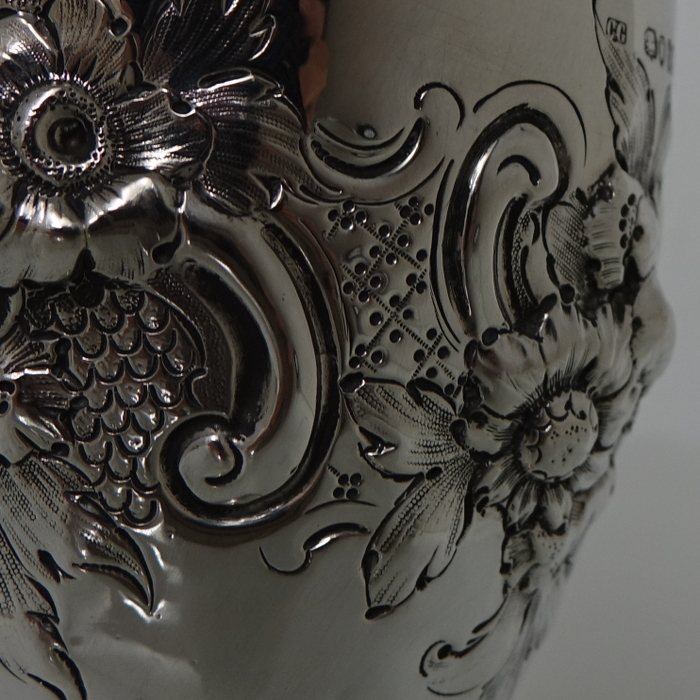 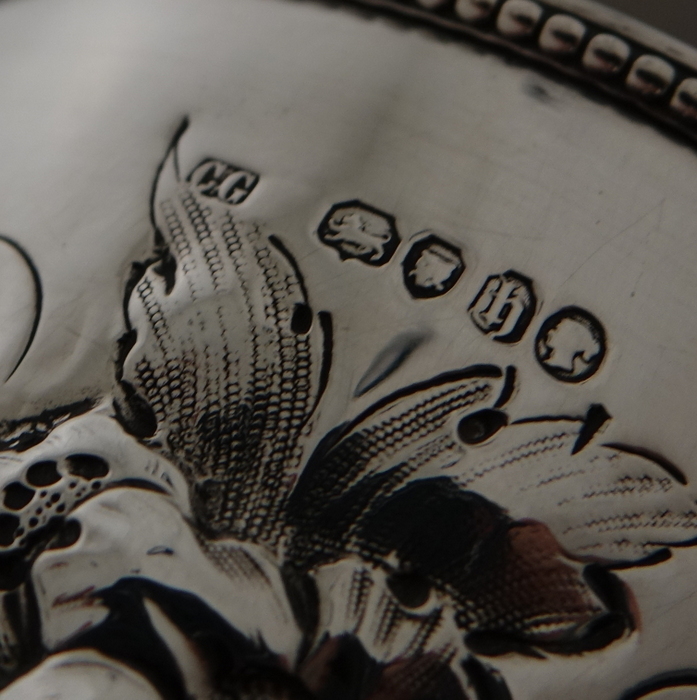 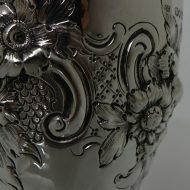 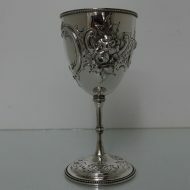 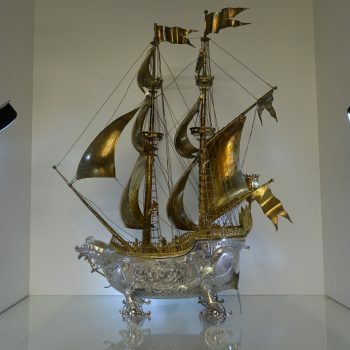 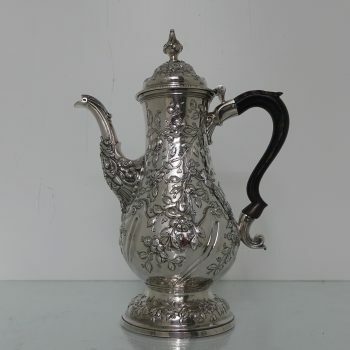 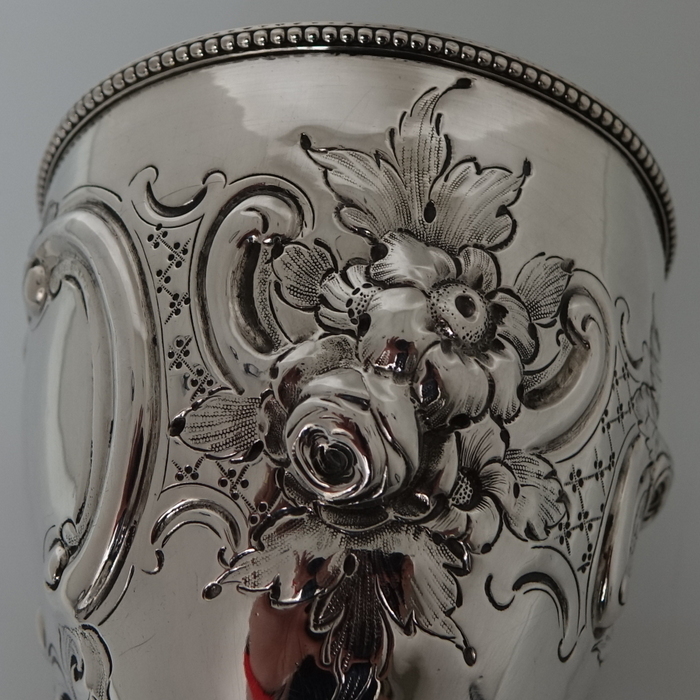 The foot of the goblet is circular with additional ornate hand engraving for lowlights.